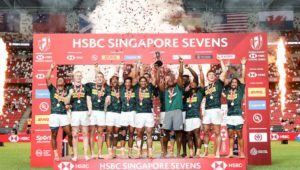 The Blitzboks slumped to a 29-7 defeat against New Zealand in their bronze-medal match at the Hamilton Sevens on Sunday. MARIETTE ADAMS reports. While it’s not the medal the Blitzboks had hoped to play for, the significance of this bronze medal outcome should not be underestimated. The result puts South Africa further back on the overall log standings in terms of total points behind the USA, Fiji and New Zealand. The Blitzboks enjoyed a good start to the game as they went about bossing territory and possession for the opening four minutes. New Zealand did well to only concede once in that period and then turned things around to shut out the Blitzboks’ challenge. South Africa angled for a tight, physical affair and applied relentless pressure on the hosts. 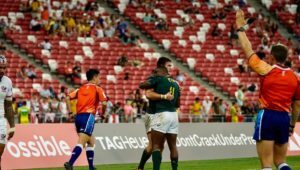 New Zealand conceded a string of penalties which allowed the Blitzboks to go close. Siviwe Soyizwapi then latched on to a short pass from Selvyn Davids to dive over for the opening try. 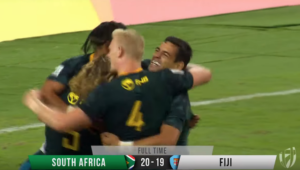 That was as good as it got for the Blitzboks. New Zealand landed a double blow with tries from Tone Ng Shiu and Tim Mikkelson for a 14-7 lead at the break. It was one-way traffic in the second half as the hosts blew South Africa away. 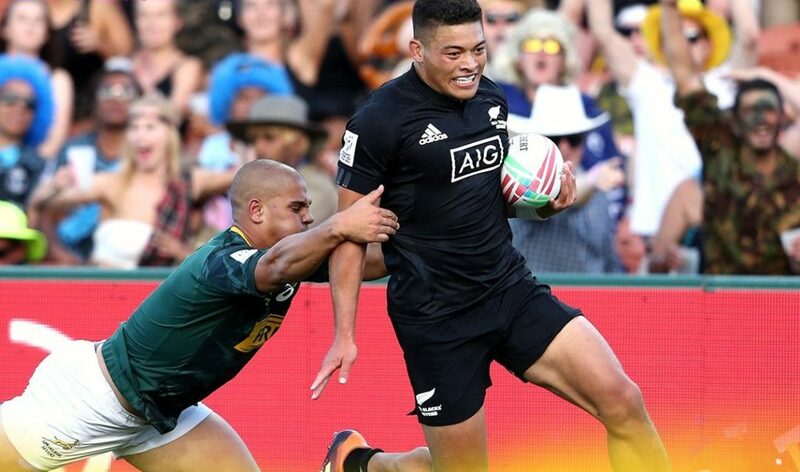 Try-scorers Mikkelson and Ng Shiu were proving a thorn in the South Africans’ flesh, as they linked up well for New Zealand’s third. Hot on attack, Mikkelson bamboozled the defence with a lethal right-foot step before offloading to Ng Shui, who scored. 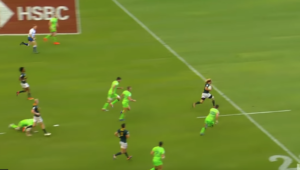 It went from bad to worse for the Blitboks when replacement Werner Kok received a yellow card for a late, off-the-ball tackle. New Zealand exploited the one-man advantage with two more tries to compound the Blitzboks’ misery.